The roll-top desk was popular at the beginning of the last century. They were mass produced to satisfy the demand. Today, buying and restoring a roll-top desk can be rewarding if you give it careful attention. There are many markers that can help you identify the age and value of a roll-top desk. Roll tops can start about $100 and range to more than $1,000, depending on the condition and manufacturer. 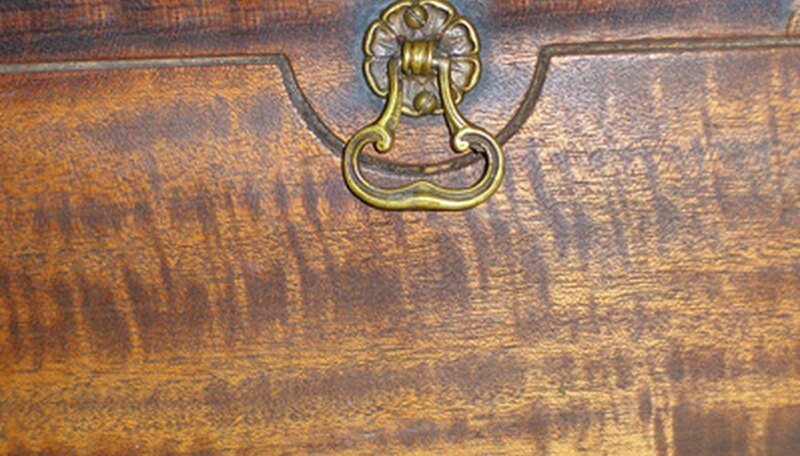 Examine the desk's details to determine its age and condition. When you find an interesting desk, check the condition of the wood first. It should not have cigarette burns, cracks or missing slats. Determine if the desk has been painted or recently refinished, as these two details may negatively affect the value. Examine thoroughly the carvings and moldings on the desk; this will help you to determine the approximate year it was built. Look at the drawers to see if they were made out of plywood, which would indicate a desk that was produced later or possibly repaired. 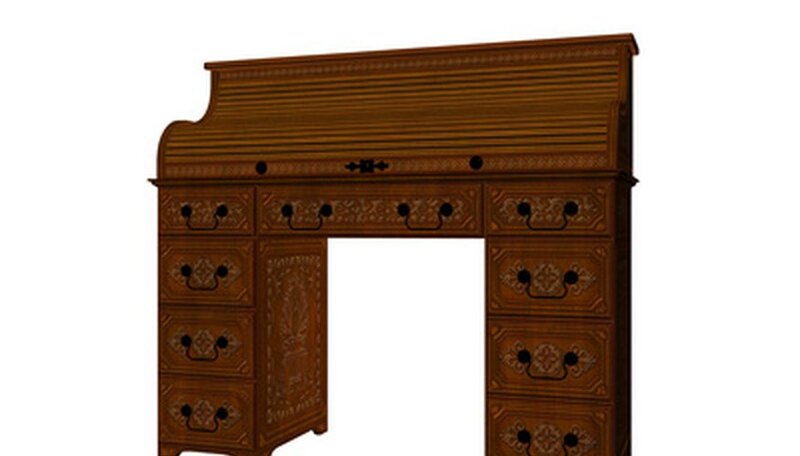 Some sellers may even have the history of the desk, which can help identify its age. Decide if repair is necessary. Sometimes buyers want the desk in its original condition. Only remove paint or stain if it is discolored or badly worn. The wood should not need repairing. You may want to contact an antique dealer that you trust to help you decide if the desk needs repair. Begin the repair by first checking the joints. Antique desks were usually assembled with pegs, glue or screws. The easiest and most cost-effective way to repair joints is with glue. Broken hardware is often another quick and easy fix. 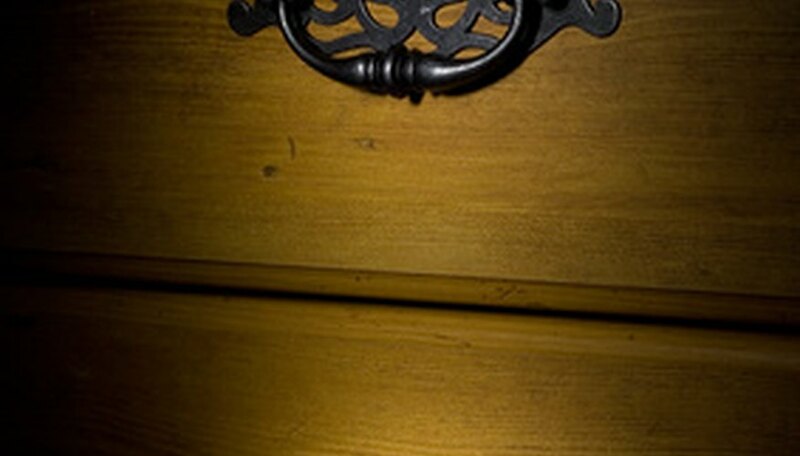 Visit metal shops and antique dealers for appropriate hardware. For larger repairs such as painting or restoring veneer, consult your local library or bookstore for books on restoring antique desks.These books should show you how your desk was constructed and how to properly restore your investment. The Cutler Roll-Top Desk is a rare desk. If you find one, ask about the desk's history to see if it belonged to someone famous or has a great story that will enhance the value. Moldings and carvings will add value. Practice on the easy fixes first before attempting a bigger repair. As your confidence builds, so will the quality of the desk. "How to Buy a Roll Top Desk"
"How to Evaluate a Roll Top Desk"
Although Susan Dement is relatively new to the writing community, she has published several articles with Demand Studios. In addition, she has freelanced professional websites and is sole proprietor of Two Rivers Copy Writing. She holds a Master of Arts degree and a Bachelor of Science degree.